Let's just do them all! 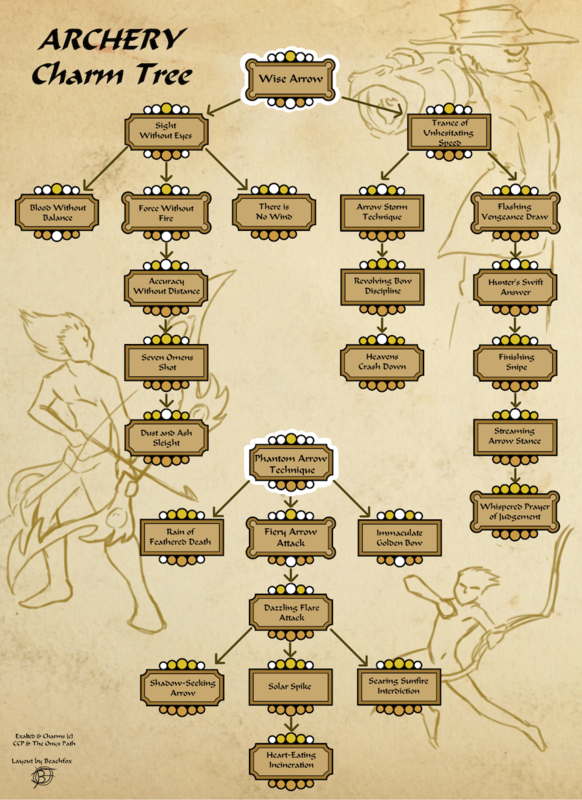 The Archery Charm Tree is actually pretty straight forward. Guess all those Multi-Prerequisite Charms got shot off the edge of the world in a flurry of exploding fire arrows.